• Objective. 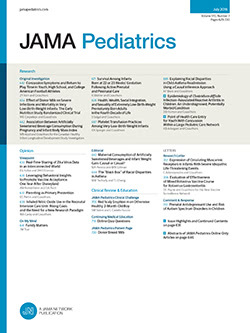 —To investigate the effect of an educational program on compliance with glove use in a pediatric emergency department. Design. —Without their knowledge, participants were observed for routine use of gloves during vascular access procedures before and after an educational program. Participants with up to 3 years' vascular access experience were defined as less experienced and those with 4 or more years' experience were defined as more experienced. Their success rates performing vascular access procedures with and without wearing gloves were also monitored. Setting. —Inner-city pediatric hospital emergency department. Participants. —Twenty-three emergency department registered nurses. Interventions. —A 30-minute lecture with slides, written materials, and posters addressing the reasons and need for universal precautions, and recommended methods of barrier precautions to prevent skin and mucous membrane exposure when handling sharp instruments. Measurements/Main Results. —For the less experienced registered nurses, the compliance rate before the educational program was 70% and remained at about 93% afterward. For the more experienced registered nurses, the compliance rate before the program was only 15%. After the program, this compliance rate rose to 93%, but declined to only 50% by the fifth month. The registered nurses' success rate on the first attempt at vascular access while wearing gloves was 75% compared with 70% without gloves.